Securing your website or application with SSL (Secure sockets layer) technology is the first step to winning the confidence of your customers’. Many web security companies offer SSL certificates. During online payments, it is required from website owner’s end to provide a completely secure environment for the ongoing transactions. Customers are very smart today & look for a website that is completely secured by an SSL certificate. 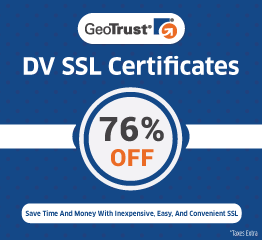 Different SSL have different prices depending on the type of certificate & the purpose for which the SSL certificate is being used. We’re providing you examples of some SSL certificates & SSL certificate prices to secure your online e-commerce website. All the certificates have 128/256-bit encryption & come with a warranty ranging from 100,000 US to 500,000 USD. 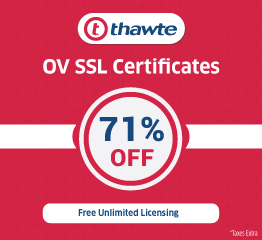 The certificate is issued between 24 to 48 hours & come with a free Thawte site seal. These certificates are for small & medium sized businesses & will meet your budget requirements. Rapid SSL certificates ensure that you get a great ROI (Revenue on investment) by implementing SSL. 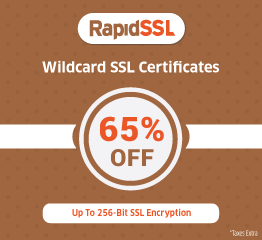 Kindly visit us for more information and to know current SSL certificate prices.